Look high up under any highway overpass near downtown Oklahoma City, and there's a good chance you'll see tarps, sleeping bags and blankets draped across the crevices just under the bridge. Walk through certain patches of woods or empty lots in the city, and you might find tents, shopping carts and remnants of campfires from the night before. Each night, hundreds of people sleep under bridges, on city streets and in homeless encampments throughout Oklahoma City. Although unsheltered homelessness, also called street homelessness, isn't a new phenomenon in Oklahoma City, a recent report suggests it's on the rise. Some advocates say that uptick is due in part to a shift in priorities at two of the largest organizations that serve the city's homeless population. In recent years, officials at the City Rescue Mission and Jesus House have refocused their efforts toward recovery programs that are designed to help people cope with addiction, mental health issues and other barriers that keep them out of housing. 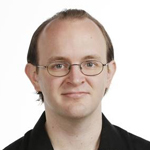 Both organizations can point to successes they've seen as a result of those changes. But the shift in priorities also reduced the number of emergency shelter beds available across the city, giving advocates fewer options for placing people who fall into homelessness. A group of public, private and nonprofit organizations is in the early stages of a plan for a low-barrier shelter designed to house people who can't access the city's other organized shelters, said Dan Straughan, executive director of the Homeless Alliance. In the meantime, though, Straughan said the changes have left people with nowhere to go but onto the street. “It's problematic, because unsheltered homeless people are more vulnerable, and just in more danger generally, from all sorts of things — weather-related issues, insect-borne diseases, violence, all that kind of stuff," Straughan said. Although overall homelessness in Oklahoma City declined by about 13.5 percent over the past year, the number unsheltered homeless people — those sleeping outdoors, in places not meant for human habitation — grew by 47 percent between 2017-2018, the city's 2018 Point-in-Time report suggests. The report is based on data collected during the city's annual tally of all people living in homeless shelters and on city streets on a single night. Like other cities nationwide, Oklahoma City conducts its count on a cold night in January, with the idea that people who would otherwise be sleeping outdoors will go to shelters, where they're easier to count. One of the two organizations, Jesus House, no longer operates a homeless shelter in the traditional sense. Over the past few years, the nonprofit organization has shifted its focus to an addiction and mental illness recovery program called Life Transformation. Mike Bateman, executive director of Jesus House, said that change came about after the nonprofit received a grant to fund the recovery program. That grant marked the beginning of a large-scale overhaul of the shelter's programming. That change meant the nonprofit was better able to help its clients change their lives rather than just giving them a place to stay for a single night, Bateman said. The nonprofit helps people find employment, get into housing and overcome substance abuse and mental health issues. It also serves three meals a day to homeless and low-income families and provides no-cost clothing and food. Although clients are required to commit to a recovery program before they're allowed to stay at the shelter, Bateman said he doesn't think that requirement is too substantial a barrier. “The homeless know that they are welcome here, and if they want to make a change in their lives, they can come here," he said. Tom Jones, CEO of the City Rescue Mission, said that shelter refocused its programs last year toward working with people who are committed to ending their homelessness. Part of that change involved placing a greater emphasis on recovery programs, job placement and legal services. But it also meant turning away many people who weren't willing to make that commitment. The shelter still offers short-term emergency beds for people who fall into homelessness but have a way out, Jones said. For example, if a person arrives at the shelter and tells staff he or she has been evicted from an apartment and needs a place to stay for a few days until a relative comes to pick him or her up, that person is allowed to stay in the shelter until the relative arrives. But people are no longer allowed to stay at the shelter indefinitely without committing to one of its recovery programs. "We'll take anybody, anytime, as long as they're willing to take responsibility for themselves," Jones said. Ensuring the safety of the shelter's clients and staff was a major factor that led to the decision, he said. In years past, the shelter would suspend certain rules during cold weather, allowing anyone to come off the street for the night. On those nights, a group of men who weren't regular clients at the rescue mission punched holes in walls, kicked toilets off their bases and terrorized the people living there. Last year, a man beat the rescue mission's security guard so badly that he took a year and several surgeries to recover. The rescue mission's clients, most of whom were there because they wanted to get their lives on track, were afraid to stay there, Jones said. Another reason for that change came from a need to focus the rescue mission's resources in areas that would do the most good, Jones said. The rescue mission is funded entirely through donations, Jones said, and the nonprofit has an obligation to use that money in a way that helps clients who are committed to ending their homelessness. Jones said he thinks devoting resources to people who are unwilling to make a change only enables bad behavior. Straughan, the Homeless Alliance director, said the models that City Rescue Mission and Jesus House have adopted work well for certain kinds of clients. But they tend not to work for people with major obstacles, such as serious mental illnesses. It's generally more effective to move those people into housing before trying to help them cope with any other issues they have, he said. "If you have a serious mental illness and I go to you under the bridge, and I say, 'Listen, if you'll get control of those voices in your head for 90 days, I'll provide you shelter,'" Straughan said. "It's just not going to happen while you're living under a bridge." 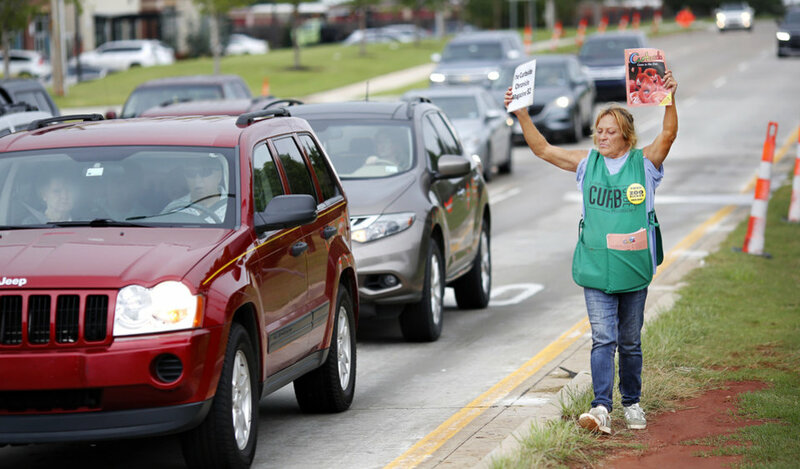 Until recently, Cathy Conner, 56, was one of the people living on Oklahoma City streets. She ended up homeless in 2013 while she was living in Fort Worth, Texas. In the span of a few weeks, Conner's husband was arrested, her mother suffered a stroke and the house where Conner was staying burned down. 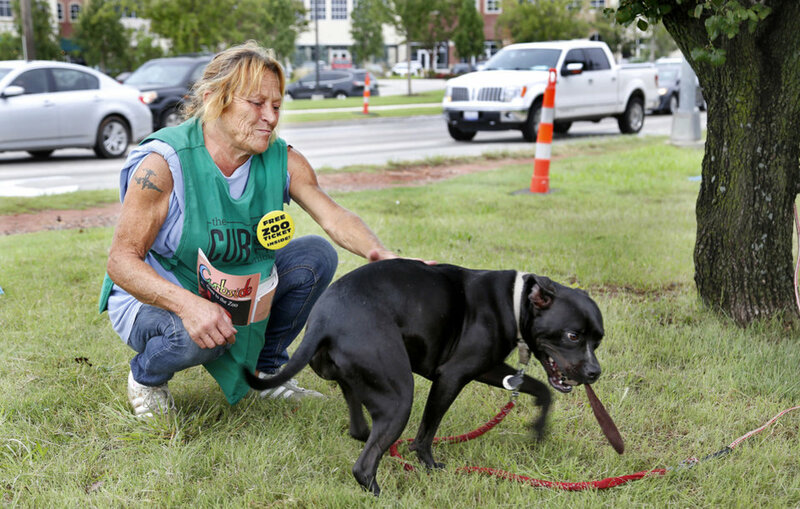 Conner lived in a homeless encampment on Lancaster Avenue in Fort Worth for years. She started drinking and doing drugs. But after a while, she heard her husband was going to be released from prison. So she came to Oklahoma to get away from him, and for a chance to start over. When she got to Oklahoma City, Conner stopped drinking and using drugs. She stayed for a few nights at the City Rescue Mission, but she didn't want to enroll in their recovery program. She didn't think she needed it, she said, because she had gotten clean on her own. Enrolling in the program wasn't a requirement at the time, but Conner said she felt like she couldn't stay there if she wasn't a part of the program. So Conner ended up staying on the street again. She stayed there for years until last February, when a case manager at the Homeless Alliance helped her move into an apartment. 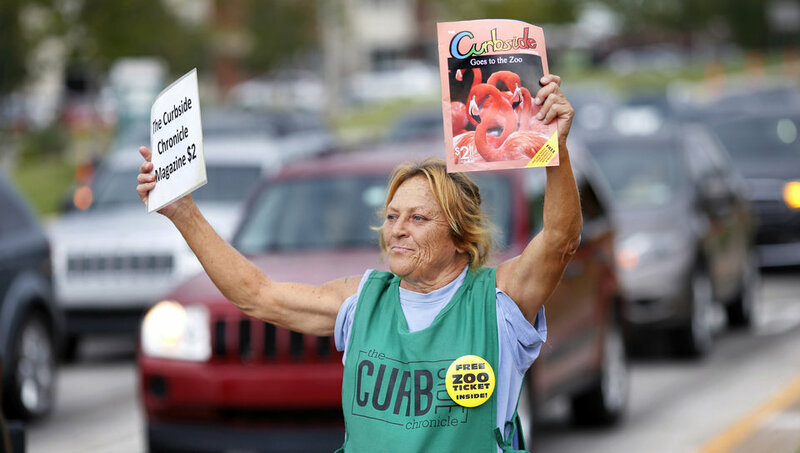 She sells copies of the Curbside Chronicle, which helps pay the rent. Conner said she doesn't think people understand how easy it can be for some people to end up homeless, and how difficult it can be to pull themselves out of it. Not everyone living on the street is bad, she said. And not all homeless people are there because of drugs or alcohol.